Many people have avoided China in the past because with very few exceptions, a visa is required. Chinese visas are relatively complicated to obtain and they are very expensive for US passport holders. This has put Chinese airlines at a competitive disadvantage because until recently, the Chinese government required almost everyone entering the territory of the People’s Republic of China to be in possession of a valid visa. This applied even if you were just flying through a Chinese airport en route to somewhere else. I am pleased to report that this has all changed. Almost overnight, and probably in response to heavy lobbying from Chinese airlines (who are trying to grow their international business), China has substantially liberalized its visa regime. At most gateway cities in China, it is now possible to transit for 72 hours. The full list is here. Unfortunately there is still a lot of confusion over the 72-hour transit policy, so I’ll try to make things as clear as possible. What can you do in 72 hours? A lot! 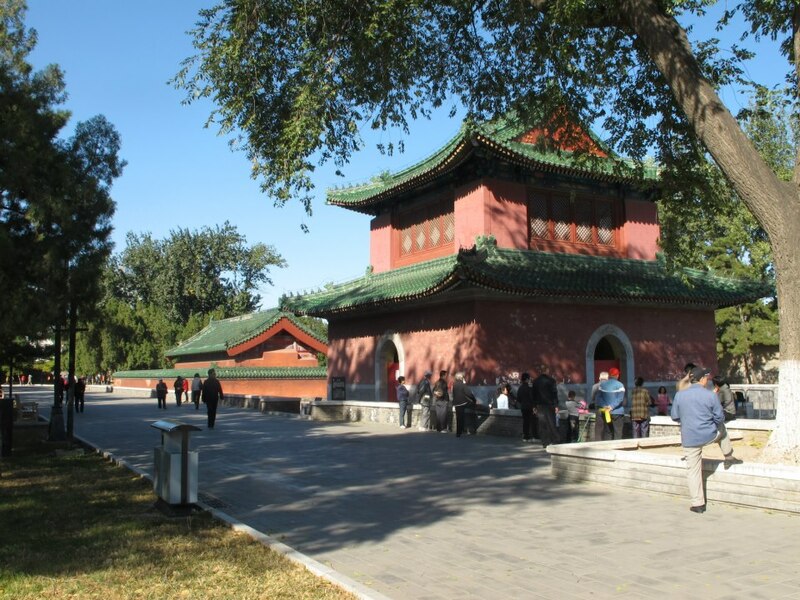 You can easily see the Great Wall, Forbidden City and Summer Palace in Beijing, but you could actually do much more. 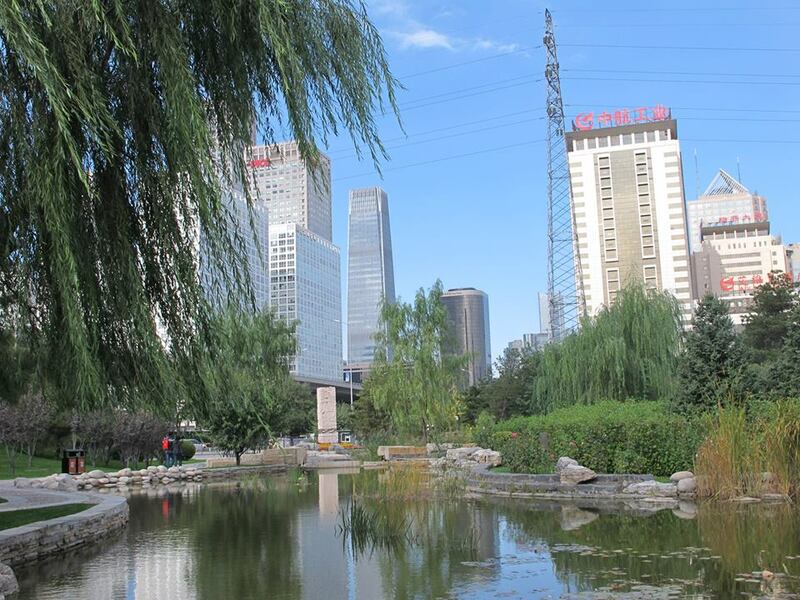 Other Chinese cities are equally rich, vibrant and exciting. The only limit to what you can do is your imagination. “Transit” in China is defined as flying into a Chinese city en route to somewhere else outside China. The definition of “outside China” includes Taiwan, Macau and Hong Kong for visa purposes. So, if you fly from San Francisco to Beijing, spend 72 hours in Beijing, and then continue onward to Hong Kong, this is allowed under the policy and you’ll have no problems. The same applies if you’re going to any other country outside China, as long as it’s a third country and isn’t the country from which you originated. Unfortunately, there are still a few snags and restrictions, and my friend Jesse was tripped up by one of them today. He bought a ticket from Seattle to Shanghai via Beijing. He planned to use the 72 hour visa-free transit in Shanghai, and then continue to Hong Kong for 4 days before returning to Seattle. It all seemed like a perfect plan and would totally have worked except for the fact that visa-free transit begins in the city where you enter China. In order to use visa-free transit, you have to enter and leave China from the same city, and you also aren’t allowed to travel between cities in China while you’re on a visa-free transit. 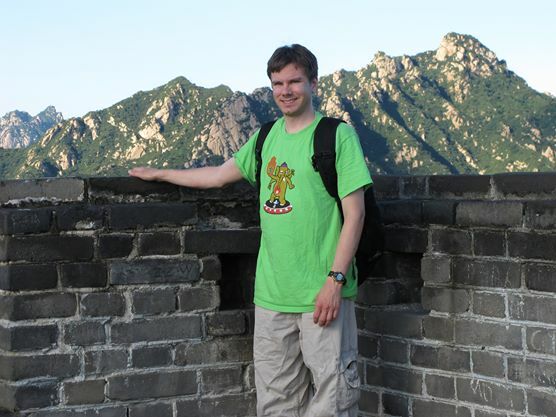 So, if Jesse wasn’t rejected at the airport in Seattle for his failure to hold a Chinese visa, he would have been turned around in Beijing–or, at best, he would have had to re-book his connecting itinerary to Hong Kong from Beijing instead of Shanghai. Not the sort of thing that is a nice surprise! I advised Jesse to instead obtain a tourist visa for China. I wrote detailed information about how to do so here. He wasn’t thrilled that he has to get a visa, but he’s happy to learn this before taking the trip. It only works in the participating list of cities. This includes the major transit hubs of Beijing, Shanghai and Guangzhou. Make sure the city you plan to transit participates. It only works for eligible countries. Most Western and many Asian countries are eligible but many countries (such as India) are not. Make sure your passport qualifies. You need to be traveling from China directly to a third country. You can’t fly from, for example, the US to China directly back to the US. However, if you’re flying from San Francisco to Beijing to Tokyo to San Francisco, you are transiting Japan, which means that you’re continuing from China to a third country. This makes you eligible for 72-hour visa free transit in China. Your transit city is considered the city that you first enter China. You must fly in and out of the same city. You are not allowed to leave the city you are transiting. This means no side trips to Hangzhou from Shanghai, or Tianjin from Beijing. You can’t apply for a regular Chinese visa in China while you’re in transit. If, however, you have extenuating circumstances (such as a cancelled flight or a sudden illness requiring medical treatment), the Chinese police will not punish you if you explain and prove the reason for your overstay. It is best to contact the Public Security Bureau (the Chinese police) as soon as you are aware of an issue that will require an extended stay in China, as well as your airline, so they can both help you to apply for a proper visa and avoid punishment. Not to scare you, but visa issues are taken very seriously in China. It isn’t unheard of for the police to throw you in an immigration jail until they figure out what to do with you in the event that you break the law. This is no different than what happens to illegal immigrants in the United States. If you’re enjoying your visit so much that you want to spend more time in China, travel to a neighboring country and apply for a visa. Next time you are searching for a flight to Asia, consider flying with a Chinese airline and spending some time in China! The service on Chinese airlines may surprise you–it is rapidly improving–and brash, modern China is truly one of the most exciting destinations in the world. As some of you may know, in addition to running a startup and writing about travel here on #Seat31B, I also have a fairly serious hobby as a DJ. By “fairly serious” I mean that I own enough PA and DJ equipment to keep two stages full of happy people dancing all night, and I also play myself (typically the chill, lounge and psychill genres). Things got so much out of hand with my hobby a few years ago that I actually own a full-size 15 passenger van (with the seats taken out) that I needed to convince my insurance company was not intended for commercial use. One of my favorite music festivals is held in the mountains of Idaho north of Boise. It is a small gathering (with enforced limited attendance) because the space is too small to accommodate more. I am friends with most of the organizers and many of the performers, and this is the last year that the event is happening. There really is no way that I could miss it, but at $350, tickets for summer travel are quite expensive from the Los Angeles area to Boise. This seemed a perfect opportunity to use my Delta SkyMiles, because Delta just launched a lot of new service from Los Angeles to Seattle, which I guessed would open up a lot of award seats. I guessed wrong. Delta is just as stingy with award seats between Los Angeles and Seattle as they are with every other route. There was essentially no availability at all, but–for now–Delta remains a partner with Alaska Airlines. You can only book tickets at the “saver” award level with Alaska if you’re redeeming Delta miles, but there is often availability. You just have to be really flexible and search hard. In this case, flexibility wasn’t my friend. I needed to travel on a specific weekend, and I just wasn’t finding anything on the Delta site. This isn’t surprising–delta.com is notoriously terrible when it comes to searching for awards. Instead, I searched on the Alaska Airlines site, and I did find availability. There was only one problem: the flight times were terrible and the airport was really inconvenient. On the 20th, there was one flight from the Los Angeles area to Boise on Alaska. It left at 7:00am for Seattle from the Orange County airport near Disneyland (SNA), and after a 5 1/2 hour layover, connected to a Boise flight via Lewiston. If I used this flight, I’d either be staying in a hotel overnight near the Orange County airport or starting my journey around 4:00 in the morning. Coming back was much better–a flight through Seattle to Burbank, which is a lot more convenient. All of the flights I had searched for showed up in the search results, as delta.com walked me through segment by segment. I picked the same flights that I had found with Alaska Airlines, and the award priced out correctly at $10.00 and 25,000 miles! This represents a value of approximately 1.4 cents per mile, a 40% premium over the usual 1 cent per mile value I assign to SkyMiles. Is it possible to do better? Yes! You can get substantially better value–even double the number of cents per mile–using Delta miles to book Alaska Airlines award travel to Canada and Alaska (both expensive destinations), or to book AeroMexico travel to Mexico. However, there is another calculation in play, and that is what personally makes sense to me. I think it makes economic sense for me to spend $10 plus some hard-to-use points to enjoy a music festival in Idaho, but it makes approximately zero economic sense for me to pay $350 to do the same thing. Additionally, the Delta partnership with Alaska Airlines is very rocky. There is no guarantee that it’ll be easy–or even possible–to use SkyMiles to fly on Alaska in the future. And finally, it’s hard for me to book round-trip itineraries given my personal travel patterns. I am flying on a lot of one-way and multi-city itineraries lately, which aren’t generally possible to book with Delta awards. In September, I’m flying to Denmark on Air France in their spectacular A380, the world’s largest passenger airplane. I will spend my birthday in Europe, and it only cost me $555 roundtrip! Best of all, I will earn miles. Why Denmark, and how did I manage to find such a crazy low fare? A healthy dose of old-fashioned competition. The new kid on the block in transatlantic service is Norwegian Air Shuttle, who has roared into the US with a new Boeing 787 fleet and some exceptionally low fares to Scandanavia. As you may have heard, intra-Europe flights are fairly cheap. The expensive part is getting to Europe from the US. Norwegian is–incredibly–offering round-trip fares of under $500 for fall travel in some markets. This is something that obviously has traditional carriers worried. Nothing really justifies fares to Europe being as high as they are, but there has been limited competition and virtually no competition from low-cost carriers. With the arrival of Norwegian into the US, this has obviously changed. Delta, Air France, KLM, United and Air Canada have vigorously responded, publishing low fares to match–and in some cases even undercut–Norwegian in markets where they compete. Some airlines, such as Air Canada, give only limited frequent flier credit for such low fares. However, Delta allows any fare purchased on delta.com and carrying a Delta flight number to accrue mileage in their SkyMiles program. While SkyMiles is not my favorite program because Delta miles are extremely difficult to redeem, $555 would be a great fall fare to Europe anyway–even without mileage credit. Even though my flights will entirely be operated by Air France, they carry a Delta fare code (V) and flight number, and they were booked directly with Delta, so they will earn mileage. The fare I booked is not eligible for Alaska Airlines Mileage Plan credit. Check your flight numbers carefully and ensure they are eligible for credit to alternative programs. I am an avid follower of The Flight Deal, a site that tracks and posts exceptionally low fares. They published a heads-up on Twitter, and I was able to find availability from Los Angeles on the ITA Software Web site. While the flights I found were coded under a Delta flight number (and I purchased them on the Delta Web site), they are entirely operated by Air France. I tried a few tricks to play with the routing in an effort to earn more miles (with particular focus on routing through Seattle so I could earn the double miles bonus), but none worked. 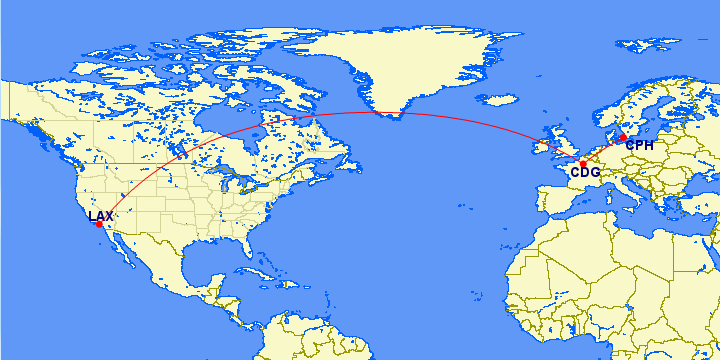 I was only able to book the most direct routing without stopovers. This was, for what it’s worth, entirely OK with me. While extra miles are nice, it’s also nice to take a very direct routing and arrive refreshed. The miles earned from this trip will, under the 2015 Delta program, buy a one-way “saver” award ticket–or put you halfway to a free ticket within North America. I value Delta miles at 1 cent per mile, which makes the fare effectively $429 when you subtract the value of the miles earned for an effective transportation cost of 3.4 cents per mile. It’s hard to find a deal that good anywhere! This deal is still available on select dates to airports throughout Scandanavia. Availability is limited, but you should find a deal you’ll like if you are flexible with your dates. In case you’re wondering why I haven’t posted much lately, I am currently on a trip in The Netherlands and Italy with my parents. I just graduated with my MBA, and am enjoying a last couple of weeks of freedom before I settle down into my new job (which I know is going to keep me very busy). 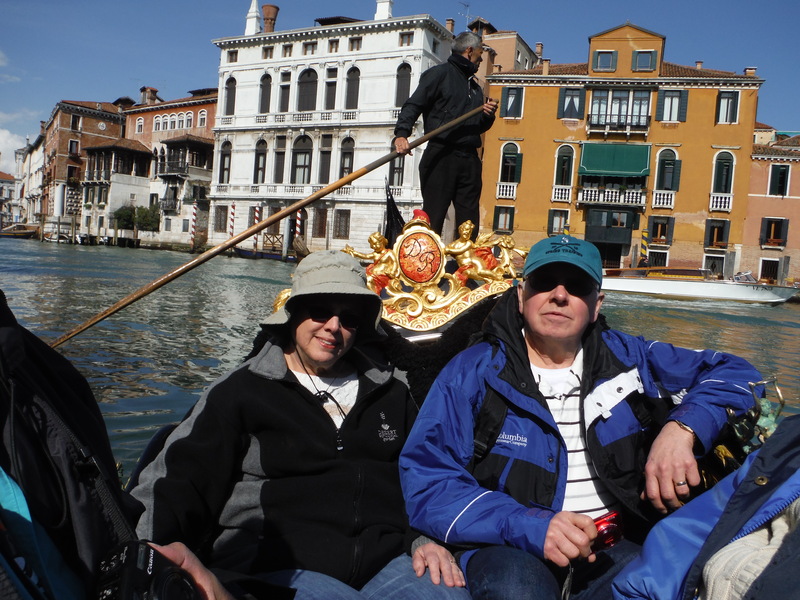 On our trip, we planned to visit Venice, Lucca, Florence and Rome. I mostly booked accommodations through airbnb which ended up being a lot cheaper than staying in a hotel, and promises to get us better locations and the convenience of being able to cook at home if we prefer. Getting to Italy on the train is possible from The Netherlands, but it’s surprisingly expensive and takes a long time. My parents are also not experienced travelers; they consider a trip 3 hours north to Vancouver from their Seattle-area home to be an exotic foreign vacation. Flying seemed to be a better solution, but there wasn’t actually any way to fly directly from Amsterdam to Venice on conventional airlines. I plugged my route into SkyScanner which is my favorite tool for checking flight prices and routes within Europe. It is particularly useful because it picks up a lot of budget airlines and routes which aren’t bookable through conventional online sales channels (such as Expedia or Orbitz) and won’t show up on the ITA Software search tool. This uncovered a nonstop route on an airline called Transavia which was surprisingly inexpensive–under $100! Transavia is a subsidiary of Dutch airline KLM, which itself is a subsidiary of Air France. They fly primarily to leisure destinations throughout Europe from Amsterdam and Rotterdam. For the most part, they sell tickets on their own Web site (transavia.com) and flights do not earn miles with any frequent flier program. Transavia operates more or less separately from KLM, although they do share gates and some ground staff at Schiphol airport in Amsterdam (and maybe other places, I only noticed this in Amsterdam). Transavia also uses the KLM Web site for online check-in. We used it and it worked fine. The similarities more or less end there. However, Transavia is not Ryanair; I consider the service a notch above both Ryanair and Spirit. They offer assigned seating (free 24 hours in advance, or earlier for an extra charge). The hand baggage allowance is just one bag, which needs to be pretty small. You can’t additionally carry a purse or backpack; everything has to fit in your carry-on bag or you have to check it. Checked bag fees are reasonable, at 25 euro for a 23 kilogram (50 pound) allowance and cheaper fees for lighter weights (as low as 15 euro for 15 kilo). All fares are actually 5 euro more than advertised, because there is an unavoidable “booking fee” charged. Incidentally, I really wish that the EU would follow the lead of the US and require an “all-in” fare to be published, rather than phony fares that can never actually be booked. 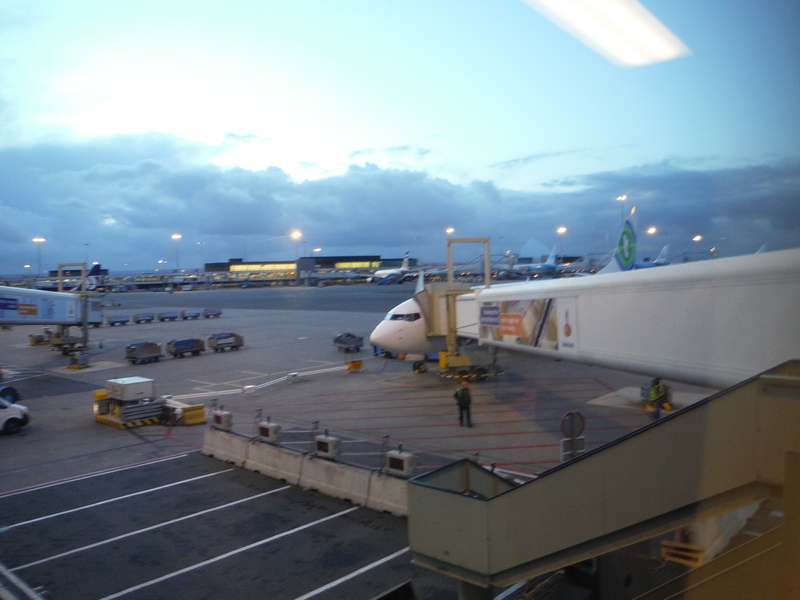 At Amsterdam Schiphol airport, our Transavia flight used a regular KLM gate. The check-in counter was run by Transavia staff (a very friendly woman from Suriname who was highly efficient), but KLM staff assisted us at the gate. Things worked pretty much like boarding a KLM flight and a jetway was even used (budget airlines usually try to avoid doing this because it is more expensive). 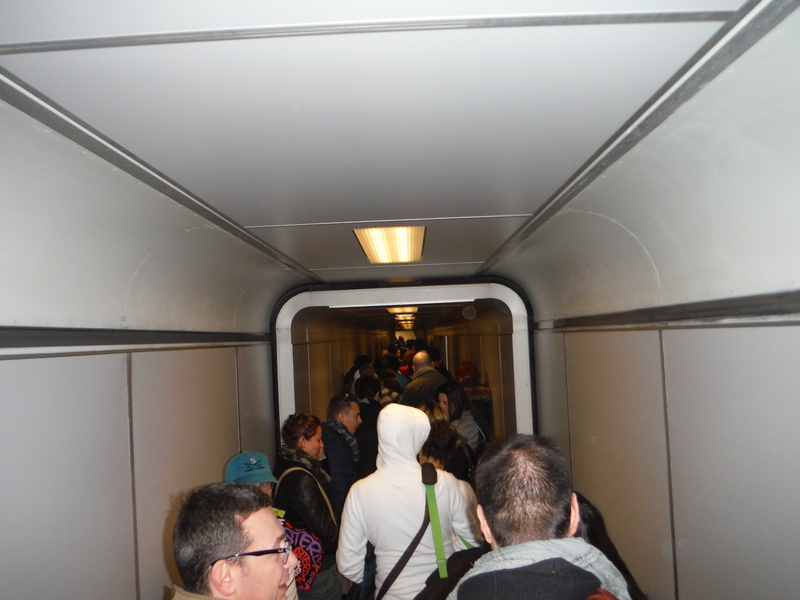 Transavia jetway – it was crowded! Onboard, leg room wasn’t bad, and I had a whole row of seats to myself–until a really fat guy who required a seat belt extension helped himself to two of empty seats in my row. This wasn’t quite what I’d planned when I paid extra for a seat where the adjoining two seats were blocked, but it was only a 2 hour flight and I wasn’t going to make a big stink over it. My very own row… for about 5 minutes. My parents prefer to show up at the airport several hours early for their flight, and to be at the boarding gate early–preferably before the check-in staff arrive. I suggested we have dinner instead, bearing in mind that Schiphol is efficient. They went along with my suggestion with a mix of reluctance and trepidation. We ultimately arrived at the gate around 10 minutes before Transavia started boarding, which is normally plenty of time. Unfortunately,”gate lice” rushed the gate and we ended up somewhere in the middle of the group to board. There was only one boarding call. So much for pre-boarding, for which we had paid extra along with our supposedly premium seats. Despite the meager carry-on bag allowance, the overhead bins were completely full so my father had to store his bag in row 29 despite being seated in 1A (I got up later in the flight and moved it underneath the seat in front of me). Lesson learned? 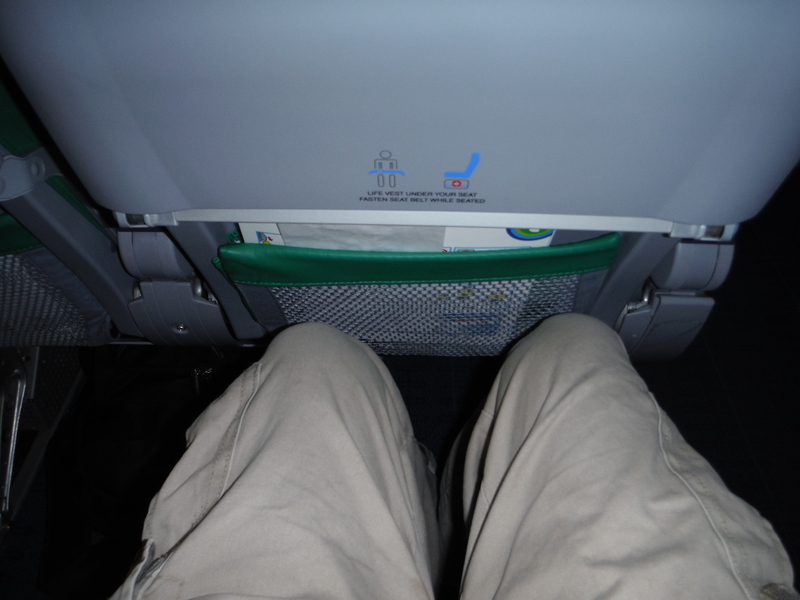 Don’t pay for pre-boarding or a premium seat on Transavia. You won’t actually get either. My seat did recline, there was inflight entertainment (consisting mostly of a bizarre video showing the flight kitchen where Transavia sandwiches are made–not appetizing!) and there was food service available. Everything cost money, even water, there was no hot food, and the only thing that was substantial was sandwiches. This is basically what things are like in Holland anyway so it’s not a huge surprise. The inflight staff wasn’t aggressive in selling stuff and the plane wasn’t festooned with ads like a bus, so it seems that KLM is trying to maintain some semblance of dignity with their Transavia product. Arrival in Venice was at a bus gate, which was relatively quick. 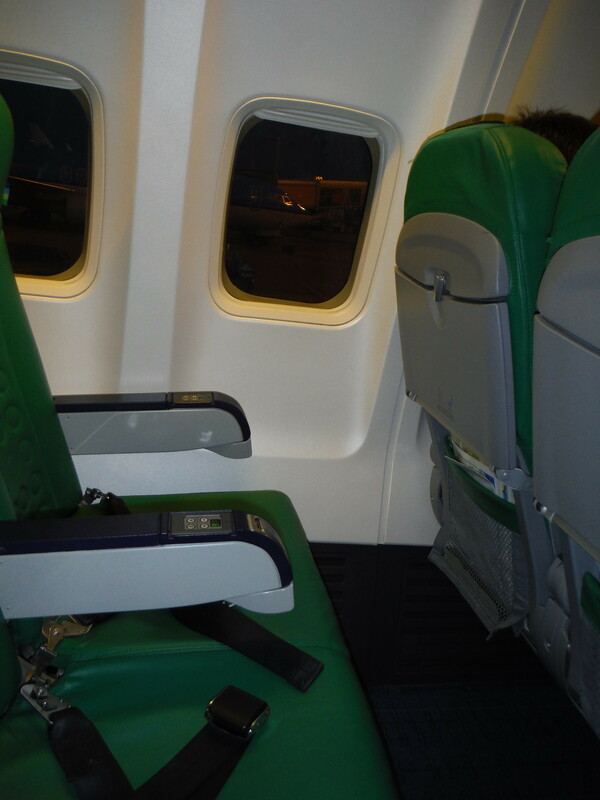 Two buses were parked near the exits and Transavia opens two aircraft doors (at the front and rear) for arrival. Luggage service was very fast, no problems with the bags, and we were on our way in almost no time. Mom and Dad enjoying their first big international trip! 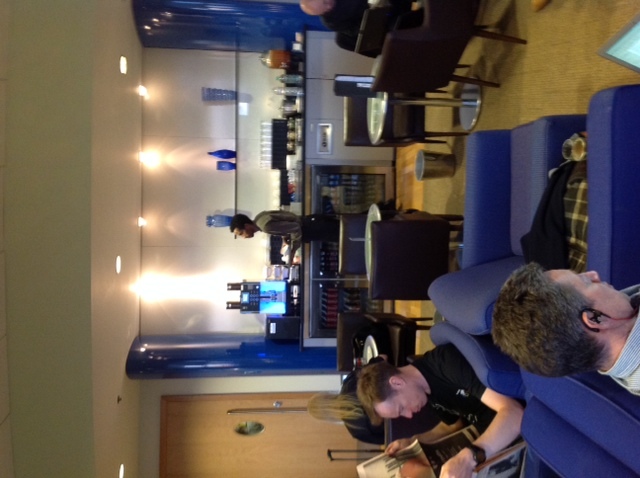 In an unusual departure from my usual Seat 31B, I am sitting in the British Airways lounge in Seattle waiting for a delayed flight. I am on my way to The Netherlands to participate in my graduation. On Friday, I’ll officially be an MBA! Ordinarily, I don’t fly in business class. It’s almost impossible to book it at the “saver” or “low” award level, and even if you can, it’s not particularly good value. This is especially true on British Airways, which requires payment of a fuel surcharge ($331 in my case) which can sometimes approach the cost of a ticket. In this case, it was the best deal I could find. Paid tickets are incredibly expensive right now (a one-way in economy class is going for around $800 from Seattle, even on Icelandair) and no award space was available in economy class. Using my Aadvantage points, I was able to redeem at the “saver” award level in business class. On the bright side, I will be very well rested for graduation. This time, I will be traveling around the world on a combination of British Airways, Aeroflot, Cathay Pacific and Alaska Airlines. This trip will be entirely in economy class except for SEA-LHR-AMS. I will also note that Russia just invaded and annexed Ukraine and I will be flying through Russia without a visa, which is going to make matters really interesting. The total cost of the trip was $1174 in paid fares, taxes, fuel surcharges and booking fees. 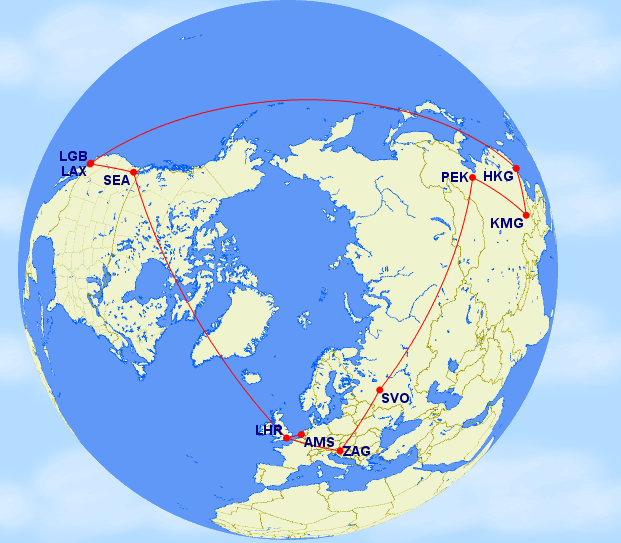 AMS-LGW+LHR-ZAG: $163 paid fare on British Airways. This fare is eligible to earn me 1,383 Alaska Airlines Mileage Plan miles. ZAG-SVO-PEK: $530 paid fare on Aeroflot. This low fare, amazingly, earns 100% mileage credit on Delta SkyMiles. I will earn 4,773 miles. The only catch is that I have to transit Russia with no visa in the midst of a Crimean invasion, and also amid very frosty relations with both Europe and the United States. My mother isn’t thrilled I have chosen to do this. PEK-KMG: I will transfer ICBC points earned through my American Express card to my Hong Kong Airlines account, and redeem them for a domestic intra-China ticket from Beijing to Kunming, Yunnan. This has to be done in person when I arrive in Beijing. The redemption fee, as best I can tell, is zero! Now that’s the kind of price I like. KMG-HKG-LAX: 30,000 Aadvantage miles (earned for free by signing up for an Aadvantage Visa to join my Aadvantage MasterCard, annual fee waived with $3,000 minimum spending requirement) plus $71 in taxes and booking fees. Note that I won’t even be realizing the full value of the award on this trip, because I added a free one-way to New York later this summer on the same award. LGB-SEA: $79 paid fare on Alaska Airlines. This will earn me 965 Alaska Airlines Mileage Plan miles. I would have paid about $1200 for a round-trip ticket from Seattle to The Netherlands in economy class. By taking advantage of miles and points, I am flying all the way around the world for around the same price and 1/3 of the trip will be in British Airways Club World, one of the best business class services in the air. This is the beginning of an epic two month adventure, and it’s going to be amazing! I flew US Airways yesterday from Phoenix to Seattle. I had been in Phoenix for over two months, and it was a long day of packing up all of my stuff. One checked bag, a carry-on, and a backpack stuffed full of gear. Once I was on the plane, I grabbed my iPad. After reading for awhile, I tucked it into the seat pocket in front of me and nodded off. I woke up again just when we landed. As soon as I was at the gate, I jumped up, grabbed my carry-on bag and backpack, and was on my way. I picked up my checked bag, headed out to my parents’ car, and we drove back to their house. I was happy that everything had worked out exactly as planned–my flight was on time and there were no problems with my bags. As usual, I pulled out my chargers for various devices and started plugging them in to charge. Right away, I noticed something missing. My iPad. Reality came crashing down and I realized where I had left it. I wasn’t flying Qantas, but you get the idea. I knew there was one more US Airways flight due to arrive in Seattle, so I jumped in the car and headed back to the airport hoping to find someone to help. Nobody was at the US Airways counter or at the baggage service desk, but two people were at the American Airlines ticket counter. I asked them for help, and they had a way to get in touch with their colleagues at US Airways (at the time of this writing, US Airways and American Airlines have merged but are still operating separately). One person was still working. She wasn’t able to meet me immediately, but agreed to meet me as soon as the incoming flight landed. I met the very friendly agent at the baggage claim. She took all of the information about my incoming flight and went upstairs to look for my iPad on the plane. It wasn’t there, but the aircraft had already been cleaned so she got in touch with the cleaning company. 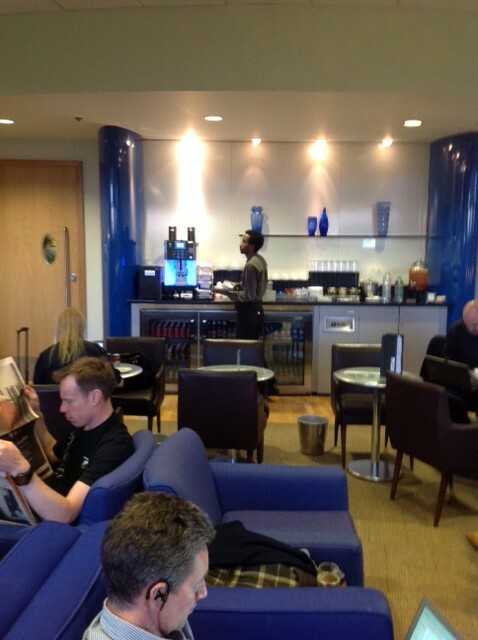 This resulted in good news: one of the cleaning staff had found my iPad! The only problem was that it was locked up in the manager’s office, the manager was the only one with the key, and she had already gone home. At least I knew my iPad was safe, and the US Airways staff told me that I could call the following day to find out when I could pick it up. Nonetheless, I logged onto iCloud and marked my iPad “lost” on the “Find My iPhone” service, something that–in retrospect–I should have done as soon as I noticed it was missing. The next day I dutifully called, left a message, and I received a call back the following afternoon: my iPad had been delivered to US Airways and I could stop by anytime to pick it up! I went to the airport and reclaimed my “baby.” It hadn’t been tampered with at all. As soon as I connected to the Internet, the “Find My iPad” service kicked in and locked me out, so I at least learned that this service actually works. Acting Immediately: Every minute that separates you from your lost item is another minute that it could fly away. Aircraft cleaners don’t always find and remove everything, and airlines turn planes around for their next flight very fast. Airplanes routinely travel thousands of miles and through several cities a day. Once your plane leaves the airport, the chances of finding anything left on board substantially diminish and the time and trouble involved in getting it back increases, even if your item is found. Asking For Help: I couldn’t find anyone from US Airways who was working at the time I arrived, but US Airways and American are part of the same company so I approached American to ask for help. This worked very well, and a seasoned and experienced American ticket agent sprang into action to help me solve the problem. Granted, most of the time you probably won’t be dealing with the product of a recent merger, but don’t limit yourself to asking only your own airline for help. Try approaching any uniformed airline staff member. Airlines do compete, but they also work together. The ground staff at most airlines will have phone numbers to reach the ground staff of any other airline and most are happy to help in a scenario like this. Staying Flexible: The ground staff at US Airways was willing to help, but they weren’t quite ready at the time I asked. There was only one staff member working and while she was apologetic, she also wasn’t able to help me immediately because she was busy making time-sensitive logistical arrangements for a delayed incoming flight. I recognized that my case was an exception, and was patient, friendly and not demanding. This is my personality anyway, but it’s worth noting that people are a lot more interested in helping you to solve problems if you’re polite about asking them for help. As soon as the staff member was available, she did a great job of assisting me. Lucky Location: Let’s face it, lost items are often stolen in airports. Entire Web sites are dedicated to stories about items pilfered, plundered and pillaged at airports by staff, other passengers and even the police. It’s enough to make some people think they might as well not bother trying to find a missing item. Seattle is one of the more honest cities in the United States, and I think that this helped. There is not a culture of corruption as exists in many American cities. If you lose an item on a plane, take heart: you might get it back, if you follow my example and act quickly. 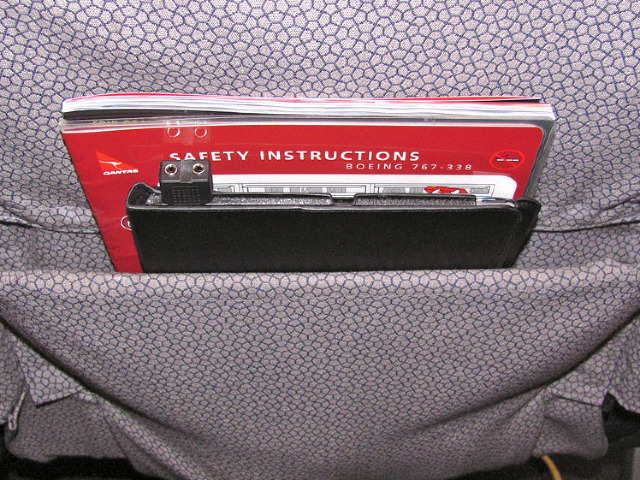 And if you take a nap before landing, always remember to check the seat pocket before leaving the plane! Any small business owner will tell you that starting a business is the fastest way to spend all of your money. I found a faster way, though: I went for an MBA and then started a technology company. As my bank accounts continued their gut-wrenching race toward zero, I knew that I couldn’t pay full price for a dentist appointment. I found a shady Scottsdale dentist offering cut-rate cleanings on LivingSocial, so I went ahead and signed up. To my surprise, I was actually able to get an appointment (the usual deal with these things is that you pay and the service provider finds a way to weasel out of giving you anything, but strings you along until after you can’t get a refund), so I went in. I had no idea of the horrors that awaited me. I didn’t like. Absolutely not. I wanted out of there as quickly as possible. On my way out, the front desk provided me an estimate for $240 to have the filling done if I wanted to come back. They also recommended a $700 mouth guard because I was supposedly grinding my teeth at night (something no dentist had previously told me). Calling around to other dental offices in Phoenix, I was surprised that $240 was the market rate for a filling, which was entirely ridiculous to me. In Beijing (where I lived for 3 years and which I’m still using as a point of reference for whether costs are reasonable), the cost is about 10% of that. 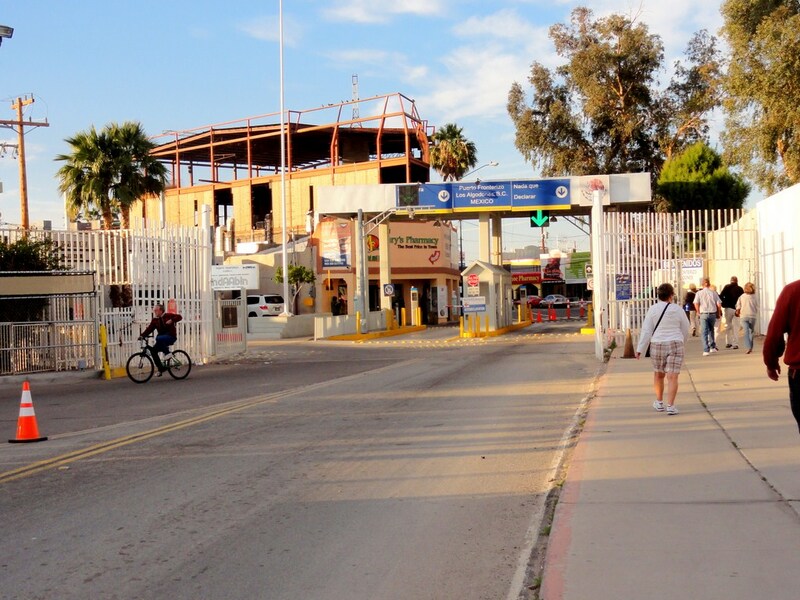 And so it was that I found myself driving yesterday to Los Algodones, Mexico. This tiny Mexican town, only 9 square blocks, has perhaps the largest number of dentists per capiita of anywhere in the world. 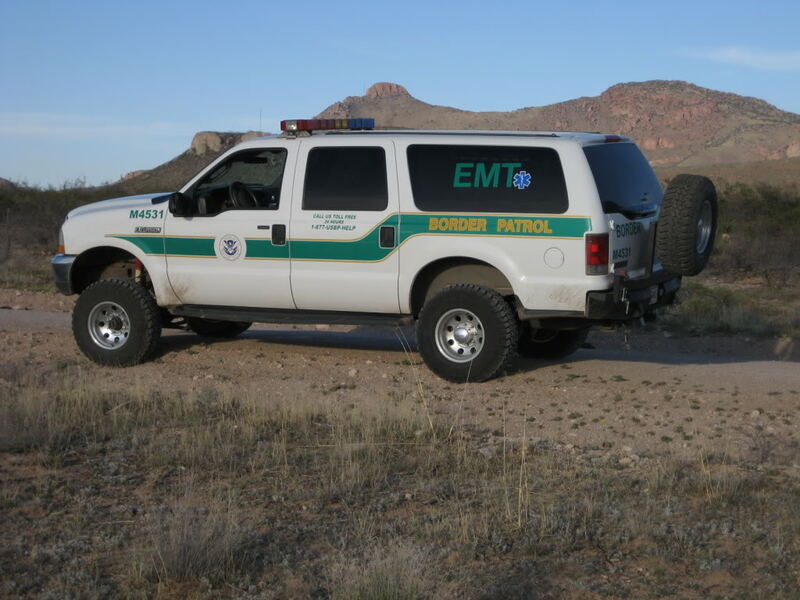 I followed my trusty Garmin GPS, which took me through Yuma, across farmland, up onto a river dike, and smack into a highly suspicious Border Patrol officer who wondered what, exactly, I was doing there. I made my way back through town, a trek back to the freeway that was several miles long. The exit was well signposted to Mexico. Along the way, several signs placed by the US government warned not to take any guns or ammunition into Mexico (this creates big problems with the local authorities). There is a parking lot operated by the local tribal authority (the border crossing is on tribal land), which costs $6. The lot is well guarded and is located directly on the border. If you’d like to see all the road signs, they have been collected here for your viewing pleasure. It’s an easy walk across the border. You pass through a turnstile and you’re directly in Mexico. No authorities were checking documentation (this is normal in Mexican border cities because there are additional documentation checkpoints about 30km past the border). However, the Mexican INM office was open and available to stamp passports and issue tourist cards for people traveling further inland. I was traveling with only my Enhanced Drivers License and had no passport to stamp, so I didn’t contact them. I didn’t have an appointment anywhere, but figured I would be able to find a dentist’s office without much trouble because there were so many of them. Another expat steered me to an office called Clinica Dental Guadalajara, which turned out to be one of the only clinics still operating late in the afternoon. Most clinics close early, but the Clinica Dental Guadalajara stays open until 5:00pm Arizona time so local people from Yuma can make appointments after work. I described the service I needed and the front desk clerk apologetically stated “it will be about a 15 minute wait, the dentist is with another patient.” I was fine with that, and chatted with another of the Americans in the waiting room. I liked what I heard – she and her husband lived in Arizona, and always came to Los Algodones for their dental care. They had used several dentists, had a bad experience with one, and then someone recommended the Guadalajara clinic. They had been patients for a few years, had always been happy with the service, and were now confident enough to have major dental surgery done–which is what her husband was undergoing. Shortly thereafter they finished with him. He walked out into the lobby a bit unsteadily, the anasthetic starting to wear off, accompanied by two smartly dressed nurses who held his arm to make sure he didn’t fall. The dentist–speaking perfect English–went through all of the details of the surgery and the after-care with the couple, making sure that the wife understood every detail and that all prescriptions were filled. Medicine in Latin America is often very abrupt in tone, but this wasn’t the case here. I felt confident with what I saw. Now it was my turn. I expected a clean, modern office with all of the latest equipment, so I wasn’t surprised. Everything was well organized and professional. The dentist and her assistant both spoke perfect English. Although I half expected there would be no cavity found on my tooth, the dentist confirmed there was–it was just very small so I hadn’t noticed. “It is good you caught it early,” she said. “You won’t need any anasthetic, I will only need to drill the surface. You should not feel any pain, but let me know if you do.” A quick inspection of my other teeth to make sure there were no other hidden problems, and she set to work, meticulously working with a tiny drill. This didn’t hurt at all, it actually felt similar to my teeth being cleaned with a rotating brush. The dentist drilled and checked, then drilled and checked again. She was very meticulous about her work. Finally it was time to put in the filling. She used a white composite filing, the same as would be done in the US. Not happy with the bite profile, she drilled the filling a bit more to “shape” it properly, and I was on my way. I asked about the night guard the other dentist had recommended, and the special toothbrush. “You don’t need any of that,” she said. “I can see you are using a hard bristle toothbrush though, it’s really hard on your gums. Switch to a soft bristle toothbrush. The other dentist was definitely right about one thing, you do need to floss every day!” And then it was time to pay the bill. Even after burning an entire tank of gas and driving roundtrip from Phoenix, I saved $150 all-in. No matter your political stripe, it’s hard not to see a big problem with this. For now, though, Los Algodones, Mexico is there for your own Discount Dental Dash! The quality of care is good, and the prices are some of the best I have seen in the world. I lived in Beijing for three years and still have a decent chunk of my life in China, so I have dealt with a lot of Chinese paperwork. However, until last week, I had never formally applied for a visa by myself. 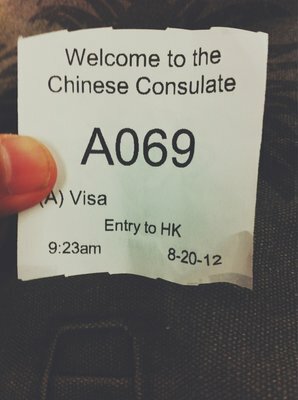 If you want to apply for a Chinese visa, you have to either use an agent service (I recommend http://www.uschinavisa.com/ who has provided me excellent service in the past) or you have to apply by yourself in person. 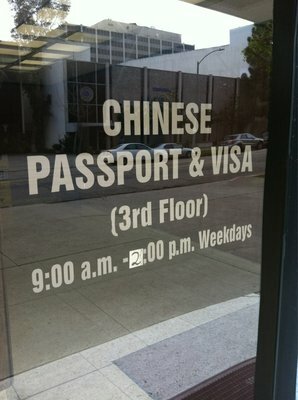 Last week, I needed to be in Los Angeles for a few days, and I needed a Chinese visa, so I was able to apply in person. The first step is to fill out the application form and assemble the required documentation. The application form is pretty complicated (and has gotten more complicated) so it’s a good idea to follow the detailed instructions provided by the good folks at Best for China Visa. Triple-check everything on your application form and make sure that it is correct, and that it matches your supporting documentation. If anything is wrong or doesn’t match, you will risk having your application rejected by the Chinese embassy or consulate. If you’re applying for a tourist visa, the process is relatively straightforward. You’ll need a hotel reservation for the first few days of your trip (5 days is good if you’re staying for a month; for a shorter trip, you need at least one night reserved). You also will need to have proof of a ticket into and out of China, or a detailed itinerary explaining how you will arrive in China if you are traveling by land. If you will fly into Hong Kong and cross into China overland, then include copies of your tickets to and from Hong Kong. Your passport must have at least 6 months of validity, and Chinese visas take up an entire page so you will also need at least one completely blank page in your passport. There is no actual requirement to stay in the hotel you reserved or to fly on the ticket you booked when you submitted the visa application. You also don’t need to travel on the exact dates that you originally submitted, as long as you enter China before the date that your visa expires, and you don’t stay longer than you are allowed. Accordingly, some travelers find it more convenient to make reservations that are fully refundable and then rebook cheaper non-refundable tickets and hotel rooms after the visa has been issued. Also, a Chinese visa allows entry by any means. So, for example, if you originally planned to fly to Guangzhou but found a cheaper flight to Hong Kong instead, don’t worry. You can book the Hong Kong flight and cross overland into China. The Chinese government is actually very reasonable about this and recognizes that plans can change. Chinese people love a bargain, so if you change your plans to save money, don’t expect any trouble–just congratulations for your savvy. Once you have your application form and supporting documentation, take it to the Chinese embassy or the consulate nearest you. Chinese consulates provide service based on your place of residence. A detailed list of consulates mapped to service areas is here. Technically, your application can be refused if you apply to a consulate that is different than the one that serves your area. In practice, this rarely happens if you apply by yourself without using a visa agent, but it’s best to apply using an address that is within the service area of the consulate to avoid any trouble. My family owns a vacation property in Arizona which is within the Los Angeles consulate’s service area, so I used that address rather than my Seattle address on my application and had no problems. Now it’s time to wait! Thankfully the TVs were switched off, rather than blaring Chinese soap operas which is usually the case in a Chinese government office’s waiting room. When your number is called, go to your window quickly! They only wait a few seconds and if they don’t see anyone moving fast, they will go on to the next number and you will have to argue not to lose your turn. I had to run out to feed the parking meter but fortunately didn’t lose my turn. After you submit your visa application, a visa officer will review your documentation. You may get some of it back if they decide they don’t need it. I brought paperwork reflecting practically my entire life’s history in China (when it comes to documentation, more is usually better than less when dealing with the Chinese government). I think this helped a lot, because I was asked very minimal questions and almost all of my documentation was quickly returned with an exasperated–but friendly–admonition of “Too many stuffs!” My application and passport was accepted, stamped, and I was given a receipt and told to come back on the following Tuesday (it was Thursday). To my surprise, payment was not accepted; this is collected when you pick up your visa. Today, I went back to the Chinese consulate. I drove a little farther and found a non-metered 2 hour parking space this time, because a visit to the consulate takes about 90 minutes. The consulate was busy but the line moved pretty fast. A single consular officer was working, but her hands moved quickly, multitasking effortlessly. I had my ID, credit card, and application receipt handy (it is a pink form), and when my turn came I was on my way in–literally–30 seconds. To my delight, I was issued a 1 year visa, multiple entries, with a 60 day maximum stay per entry. This is the best visa currently being offered to foreigners who are not married to Chinese citizens, so even though I changed my passport it seems that the Chinese government was able to find my previous record of good conduct in order to issue me with a better visa. You need a photo ID to collect your visa, and you can only pay by credit card, cashier’s check or money order. The cost is $140 for US passport holders. Cash is not accepted. Two people had to go buy a money order next door and stand in line again because they only brought cash! Also, parking enforcement is draconian, and running out to feed the meter won’t save you from a ticket if an officer sees you do it. It’s illegal to park for more than an hour at the metered spaces even if you pay for more than an hour. If you need to move your car, the security guards will allow you to reclaim your place in line if it is still there when you come back. It is better to drive farther away because there are some free parking spaces a couple of blocks away that will allow you to park for two hours. Enter before means that you need to enter China before that date. This can be anywhere from 3 months to 1 year from the issue date. It is usually better to apply for a visa to China around one month in advance. That way, if you aren’t given a long period of validity, you will have enough time to enter China. Entries means the number of times you are allowed to enter China prior to the “Enter Before” date. Note that if you go out from mainland China into Hong Kong and then come back, that counts as two entries! Most of the time this will either be 1 entry or M, for multiple (unlimited) entries. If you need multiple entries, be sure to justify this with your proposed itinerary, otherwise you might get only one entry and have to adjust your travel plans! Duration of each stay means how long you are allowed to stay in China after you enter, which must be before the “Enter Before” date. This is by calendar day, not by 24-hour day! Count your days carefully (and do not forget the international date line) to make sure you do not overstay your visa. Note that “enter before” means just that–as long as you enter China before the date shown, you can stay for the number of days allowed in the duration after you enter. 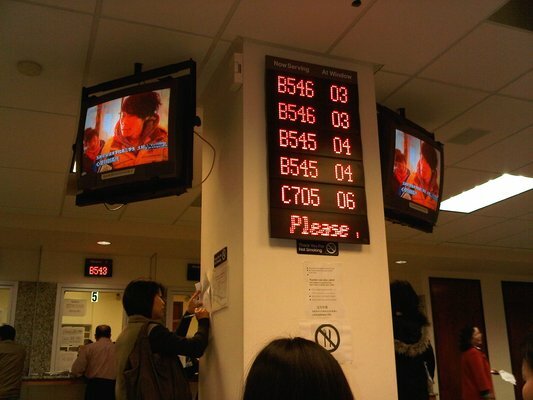 There is a huge fine if you overstay, which can be up to 3,000 RMB per day. In extreme cases, you can also be barred from re-entering China for 5 years. Note that unlike many countries, China allows you to leave and immediately return to start the clock on another “stay.” If you have a US passport, you can enter Hong Kong and Mongolia without a visa, and many expats go on “visa runs” to these places. No matter what the shady language school that tries to hire you off the street says, you are not allowed to work on a tourist visa. You get the fine and travel ban, not them, so they have an incentive to lie. If you decide that you want to stay and work in China, the only legal way to do it is on a visa category that explicitly allows work such as J-1, J-2, R, D or Z. Changing your visa type generally requires you to return to your home country and apply from there (although there are sometimes loopholes in applying either from Hong Kong or from within China, depending upon what you are trying to do and the strength of your employer’s relationships with the Chinese government). It should go without saying, but you need to follow Chinese laws while you’re in China. Generally speaking, these aren’t much different from laws in the US, with a few exceptions around politically sensitive topics. In many ways Chinese society is more relaxed than the US, but there are “red lines” you need to be aware of and you must not cross them. There have been a lot of recent incidences of foreigners doing outrageous things and behaving badly in Chinese cities, and Chinese people are generally feeling very impatient with this and are more wary of foreigners than in the past. Being friendly, patient, polite, and having a ready smile will go a long way toward having a nice trip. If you are staying in a private home (including an airbnb accommodation), you need to register your residence with the local Public Security Bureau (Chinese police) within 24 hours. Ask a Chinese friend or real estate company for help with this, but don’t ignore it: it’s really important and there can be a very large fine for failing to do so. One friend who visited me in Beijing and didn’t register on time was forced to write an apology letter to the police and promise never to do it again. He got off easy, because he could have been fined over $100. You will get a form proving your residence registration and you should always carry a copy of this with you, along with a copy of your passport. The Chinese police can demand to see this at any time and you can be fined if you fail to produce it. Technically you need the original (and your original passport) but the police are reasonable if you are carrying a copy, since they understand stolen passports are a big problem. Note that if you are staying in a hotel, hostel or any other licensed accommodation for foreigners, they will do the registration for you and you don’t need to do anything; this is only something to worry about if you are staying in a private residence. Two trips to the Chinese consulate, several gallons of gasoline, a full day of my time, and a lot of quarters in the parking meter saved me around $50 in agent processing and mailing fees. On the other hand, by applying in person and bringing extra supporting documents, I got a better visa than an agent may have been able to get me. Would I apply in person again? Probably not–using the services of an agent saves a lot of time, and I have already been given a “good” visa so will probably not be downgraded next time, even if an agent applies on my behalf. If this article was helpful and you use my favorite agent, http://www.uschinavisa.com, please enter my email address tprophet [at] seat31b [dot] com as the referral during your application process. You’ll pay the same for the service as you would without giving me referral credit, but with your referral, I will get a coupon good for $5 off my next Chinese visa application. When most people think of Aeroflot, they think old Soviet planes, surly service and one of the worst safety records in the world. “Sure, the fare is low,” you might think, “but there’s no way I’ll ever fly with Aeroflot.” Unfortunately, if you think this, you’re missing out on one of Europe’s best kept secrets. Today’s Aeroflot is much different than in Soviet times. The fleet is modern and efficient with new Boeing and Airbus planes along with new Russian models. Aeroflot now has an excellent safety record–comparable to other European carriers–and a safety program that meets international standards. The in-flight entertainment on long-haul aircraft is some of the best in the skies. Meals are excellent, and the meals in economy class can even occasionally rival those served in business class on other airlines. Service is very professional, if not particularly friendly (to some degree this is cultural, because Russians are not very friendly in general). And best of all, you don’t need a visa to transit Moscow Sheremetyevo Airport as long as your final destination is not Belarus. All of this for a price that is generally lower–in many cases much lower–than most other airlines flying between Europe and Asia. Aeroflot is a member of the SkyTeam alliance and transfers between Aeroflot and other SkyTeam carriers such as KLM are seamless in Moscow. Your bags will be tagged through to your final destination at check-in and will be transferred to the other carrier when you connect. When you consider the price you paid, mileage credit can also be surprisingly generous when credited to other programs such as Delta SkyMiles. In most cases, the minimum mileage credit you will receive is 75% (although on the most deeply discounted fares–rarely seen because the fares are so low–mileage credit is limited to 25%). 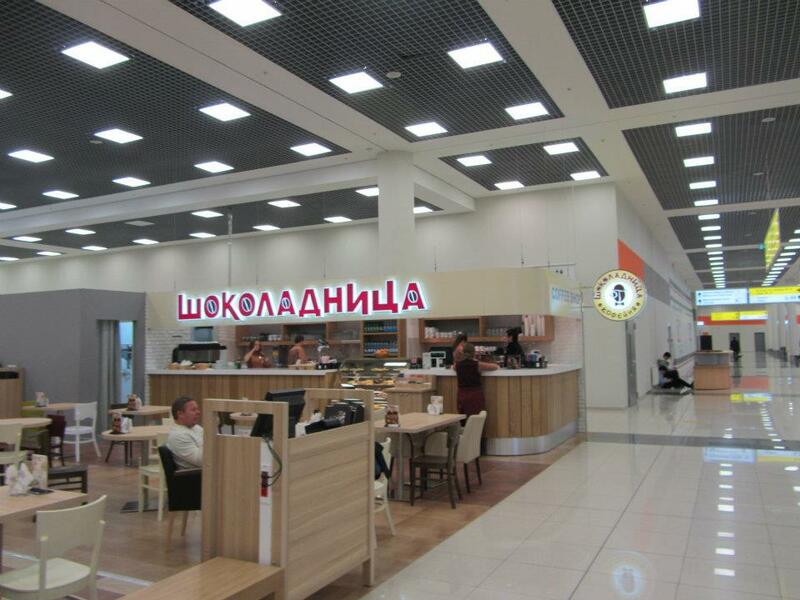 Newer terminal at Sheremetyevo has a modern look. What are the potential downsides? In my experience, Aeroflot does not recover well if anything goes wrong. 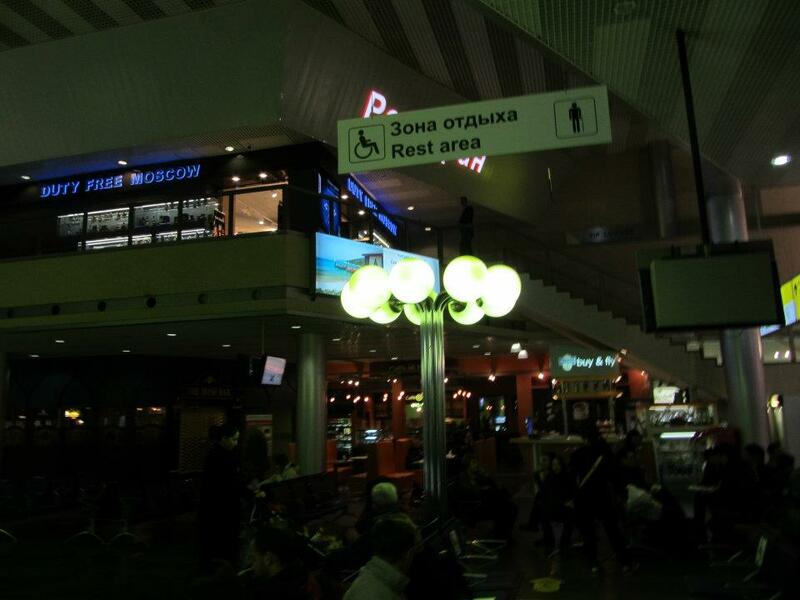 If you’re stuck overnight at Sheremetyevo due to a missed connection, you will be put in the “transit hotel.” They will ask you to share a room with a random person from the plane. You’re not allowed to leave your room and basically you’re locked in, it’s almost like a jail. The airline will decide when you’re leaving (in my case, it was 6 in the morning after not even getting to the hotel until 1 in the morning), and will decide when you eat. You will also not have access to anything from your checked luggage and you’re not even allowed to buy anything from the hotel store, so you can’t get anything like contact solution, toothpaste or even medication that might have been locked into your checked luggage. To be fair, Aeroflot doesn’t control Russian immigration regulations, Customs regulations or visa policy. And if everything goes well, Aeroflot fares can represent an incredible value versus other airlines. The next time you are traveling between Europe and Asia, consider Aeroflot. The experience may pleasantly surprise you! It is very common in the travel industry that airlines will partner with one another. Unfortunately, partnerships aren’t always seamless and this can leave you paying more than you bargained for, and getting fewer benefits than you planned. 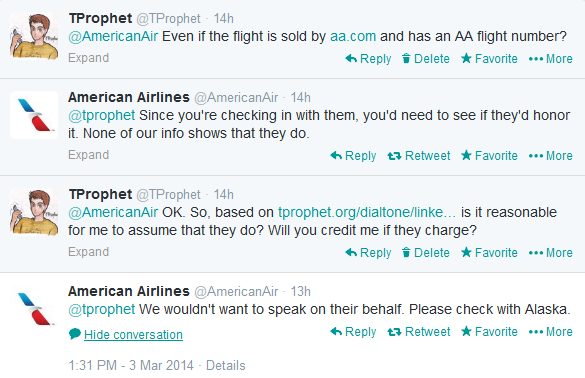 Sometimes the issues are so sticky that even the best people at the airline you’re paying don’t know the answer. The answer to what, you might ask? Well, it’s a question that ought to be pretty simple. 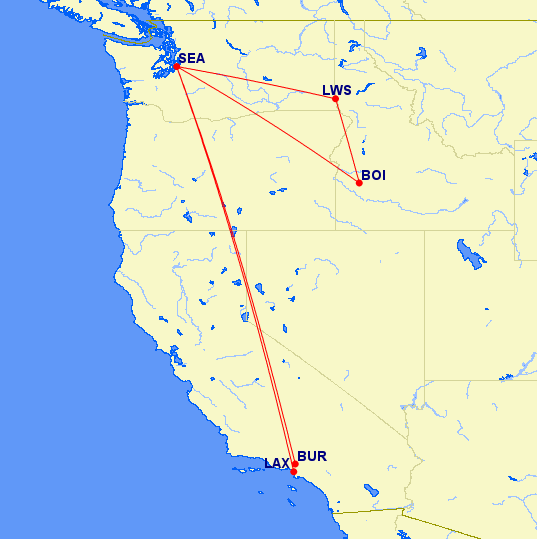 I was shopping for flights last night on the American Airlines Web site (aa.com) and found a great deal for a flight from Long Beach to Seattle. I’ll be in the Los Angeles area in May and although I wouldn’t normally prefer to fly home from Long Beach, the fare was really exceptional: only $79! And, if you didn’t look at the small print under the flight number, you might even reasonably think it was an American Airlines flight. 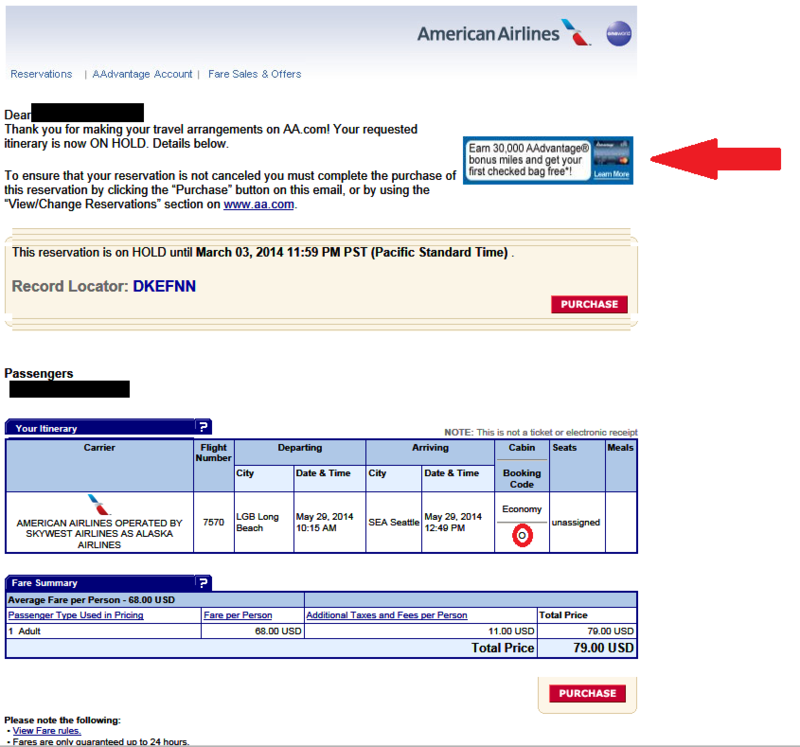 After all, it’s sold on the American Airlines website and there is an American Airlines flight number. Better yet, since I am a Citi Aadvantage cardholder, that should entitle me to a free checked bag, right? After all, further down the page, there is a huge ad for the Citi Aadvantage card. It has a whopping $95 annual fee, one of the highest in the airline industry, but offers a fee waiver for the first checked bag. There it is, right on the page, first checked bag free! With that, probably every CitiAadvantage cardholder in the world other than me would make the logical assumption: you’re buying a ticket on the American Airlines Web site, it has an American Airlines flight number, there’s an advertisement from Citi and American Airlines on the confirmation page promising a free checked bag, so you’re probably getting a free checked bag, right? Right there up at the top in the right hand corner, well, what’s that? An ad for the Citi Aadvantage Signature MasterCard, promising a free checked bag in exchange for their expensive $95 annual fee (almost double the fee of a Costco membership). So now on the AA.com front page, the AA.com sales page, and in the American Airlines confirmation email, American and Citi have promised a free checked bag. It’s all right there, you can see it in the screen shots. So, do you think if you book this flight and you have a Citi Aadvantage Signature MasterCard you’re getting a free checked bag? This isn’t a trick question, take as long as you need. No. Of course not. This suddenly isn’t an American Airlines flight, it’s an Alaska Airlines flight. Ignore all the ads you saw promising a free checked bag, you don’t actually get that. Suddenly the flight isn’t an Alaska Airlines flight after all. Remember back on the confirmation page where the fare class was shown? You have to check these carefully, because the fare class is how airlines weasel out of giving you frequent flier credit for flights you book. This is an especially huge problem with codeshare flights such as the one that I reserved. If I had tried to claim Alaska Airlines Mileage Plan credit for the flight, I would have gotten a nasty surprise of no frequent flier credit to go along with the other nasty surprise of no free checked bag. I am a reasonably expert traveler, the Twitter teams of both Alaska Airlines and American Airlines are among the best people working for both airlines, and it took all of us combined to figure out what I would actually get and how it differs from what is being promised. I am not normally a fan of government regulation, but there is currently too large a disconnect between what consumers are promised and what they are actually getting. The average consumer doesn’t stand a chance. In the meantime, what can you do? Don’t assume that you’re going to get anything that is promised and double-check everything. Also, consider credit cards other than the Citi Aadvantage Signature MasterCard. The “first bag free” promise doesn’t measure up.